The Happy Planner™ | LET'S TALK STORAGE! Lots of us here at me & my BIG ideas are in 'spring cleaning' mode, and with that comes new storage concepts -- especially for our tons of planner and crafting supplies. 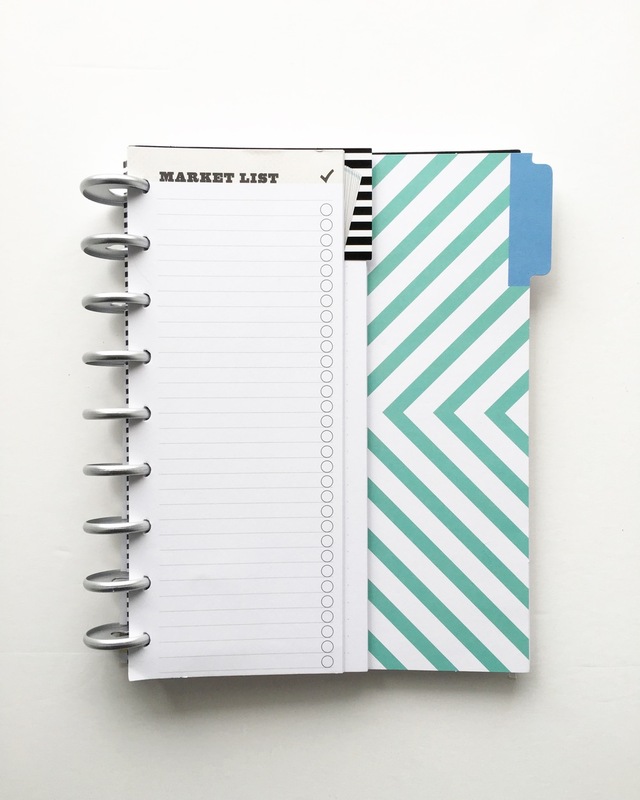 Today we have mambi Design Team member Mary-Ann Maldonado (blog | IG) giving us the run down of the different ways she keeps her Happy Planner™ products organized. "Good Morning! Mary-Ann here! Let's be realistic for a second. If you are a devoted planner, you have way to much stuff (according to others.) Stickers, sticky notes, embellishments, papers, washi, too much of everything for it to all fit in your planner! Today I am going to share with you, a peek inside my space and my way of storing all of my planner items. I have two vintage locker baskets that I use and one to store my Happy Planners™. The other holds most of the smaller items - items that are not always in your planner but you may want to add each week. Things like clips, sticky notes, dashboards, pen holders, list papers. I have almost every set Happy Planner™ discs there are. My style of planning is too bulky for the mini discs, so I use those to help me organize. You can see above that I keep all my Decorative Covers together. I also keep all of my Note & Graph papers on mini discs, my Pocket Folders together with the medium discs. It is important to me, that I know what things are called and what came with what. I use The Happy Planner™ Punch to attach the trimmed down packaging too. Until I need a Dashboard, they help keep my sticky notes all in one place. I have also used the back of the packaging to help with stability when clipping things together. I believe I used a piece of that cardboard behind the Notes & Graph papers. Below is how all of the loose things come together by using random discs. For my loose discs, I keep like items together with large rings. I contain them all in this super cool cookie can my friend from the Netherlands gave me. I keep all my small goodies, like the magnetic clips, in another can. I have already used the pen holders, and stuck them to the top of my can to reuse them. For my Happy Planner™ Pocket Cards I used the binder clips to keep them together. Some others are stored in an antique drawer, and are labeled by name. I also store my beautiful collection of Happy Planner™ washi tape in one of the drawers. I may need to devote another drawer to this really soon. Many planner addicts, scrapbookers, and crafty ladies have the Raskog cart from Ikea. I found this vintage record cart and use it the same way. It is perfect for my paper pads, tin storage, and grab-and-go type of stuff. It's easy to pull this around my house, and wherever I want to plan, everything can go with me. NOTE: my dog, Flo, is never far behind. Haa haa! I hope I have inspired you to get organized by sharing what works for me. I encourage you all to scout your house for pieces you can use for Happy Planner™ storage. You may already own some items that you can use." How are you storing all your Happy Planner™ goodies?